The Lost Angeles: Goodbye 2014! Well, here it is...the last look of 2014. I've had an AMAZING 5 months or so with you guys, and the blog has grown in ways I can't even imagine! I hope to do a lot more in the New Year! For this look, I went simple - the sweater and the jeans and the leather work together in ways that shouldn't even be allowed! 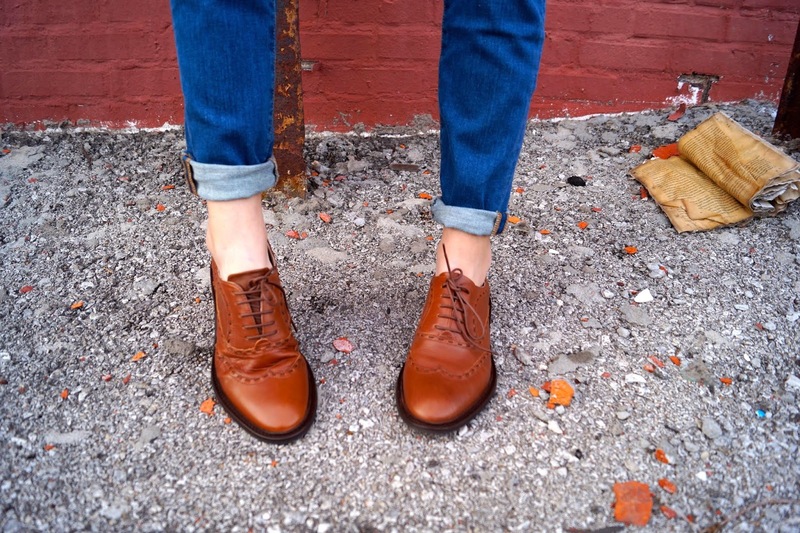 I love cuffing my jeans over some oxfords - it adds a relaxed vibe to an otherwise serious look. Cheers to 2014 (and a New Year)! Love ur shoes n bag! Love your outfit. 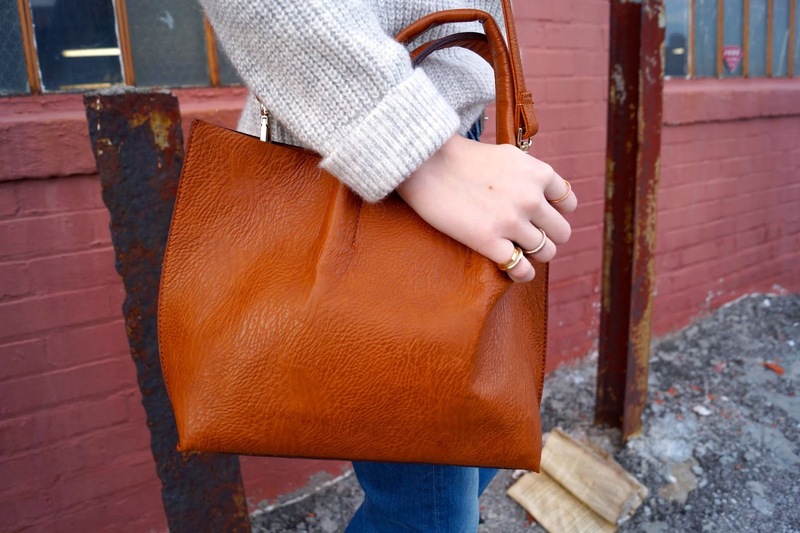 So simple, yet so trendy, stylish, and cute. I just discovered your blog and I followed you on here and on BL. I'd appreciate it if you'd follow back so we can keep in touch. Gorgeous... I love your blog!! Have a good new year!! I love your sunglasses!! So cool. The blue tint is nice! Such a cute outfit! I love the brown accents. I cant wait to see what 2015 holds for you and your blog! Happy New Years!!! Such a great post! Love the shoes! Love your pictures, follow you now on GFC, hope you follow back. I'm in love with the shoes! Love your blog :) Followed! 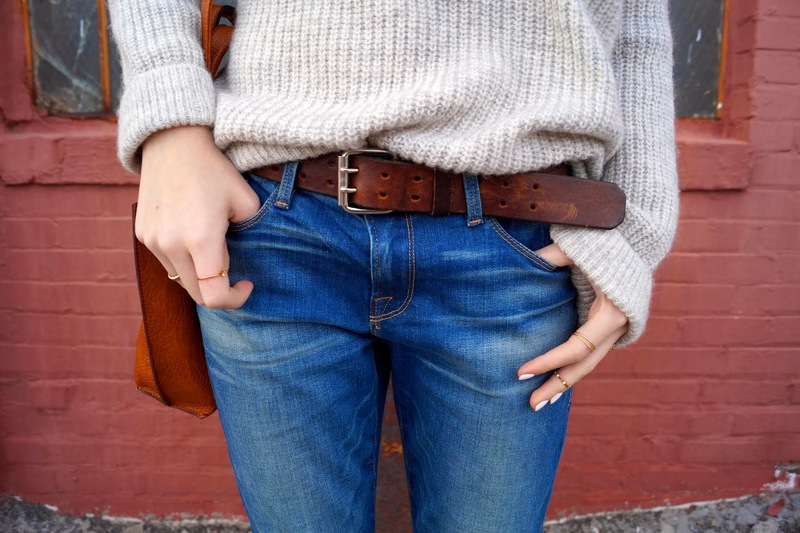 I'm in love with this casual/cozy look! I've been looking for some jeans like that! I love the shoes and bag! You have made it contrast so well, I love it! I`m follow you in GFC. (Darris) follow me in GFC please! that knit looks so cosy! Great look, I like the shoes and bag. Love your casual outfit. New follower, hope you can follow me back. Hi Annie, love this fabulous look. And you're so gorgeous. 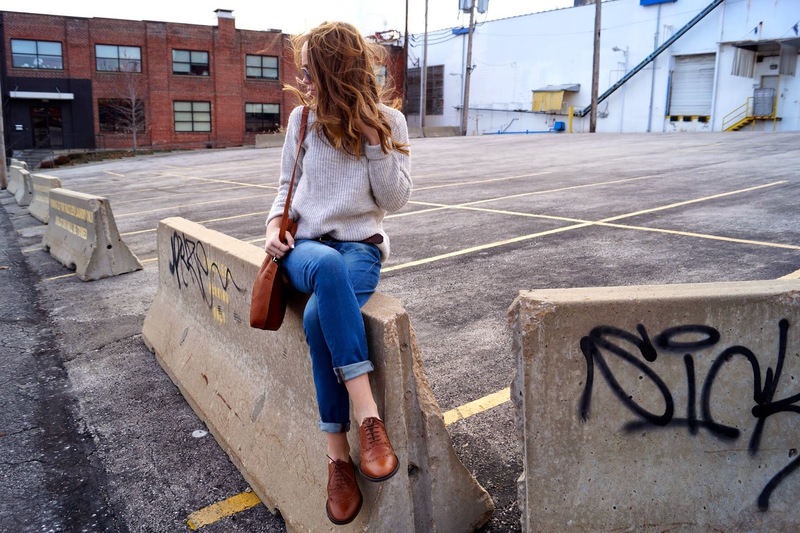 That knit looks seriously cozy, and the fit is fabulous on you. I love how you styled this look! Hi Annie! 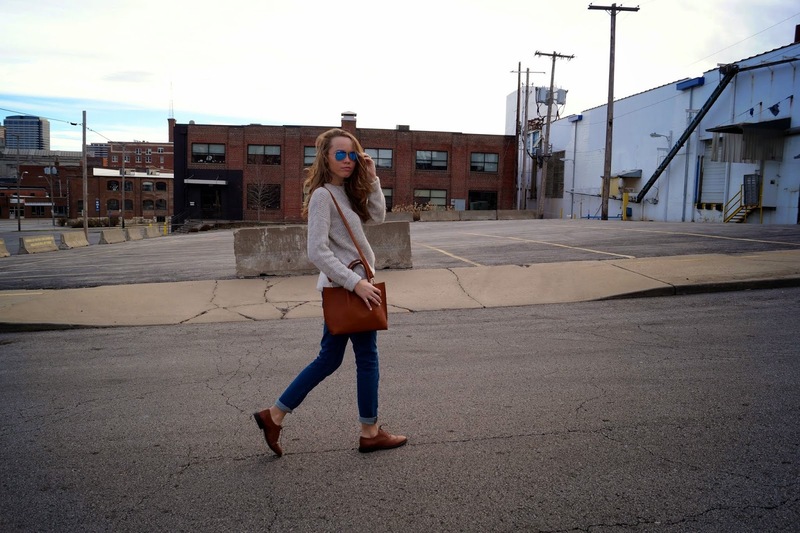 Love your blog too, that's such a cute outfit and the sunglasses are lovely! I'm already following you on Instagram, Google +, Twitter and Bloglovin. I love the combination of your shoes and bag!!! You are the cutest fashion blogger ever! I got a pair of red Oxfords for Christmas. I can't wait to wear them. In general, they are such pretty shoes and take an outfit to the next level. Your Oxfords are gorgeous! Very cute outfit. I just followed you in bloglovin..would you like to follow each other?.Thanks!